Coach JJ Gomez has made baseball his life. He played in leagues as a boy and continued his playing career at Martin High School as a member of the team that made history winning four consecutive district titles. He continued to play baseball on a college scholarship graduating from Texas State University with a Bachelor of Science in Secondary Education. As Head Coach at United High School, he averaged 25 wins per year and led United to the playoffs in all of his ten seasons. He is finishing his high school coaching career with a 251-88-5 record. In 2008, Coach Gomez led the Longhorns to the first ever, state appearance in school history. He was named The Laredo Morning Times Coach of the Year and was asked to speak in various conferences. In 2011 his team advanced that season to the playoffs to face Sharyland, a state ranked team, in the first round of playoffs. Nolan Ryan personally wrote a letter to Coach Gomez for their accomplishments. 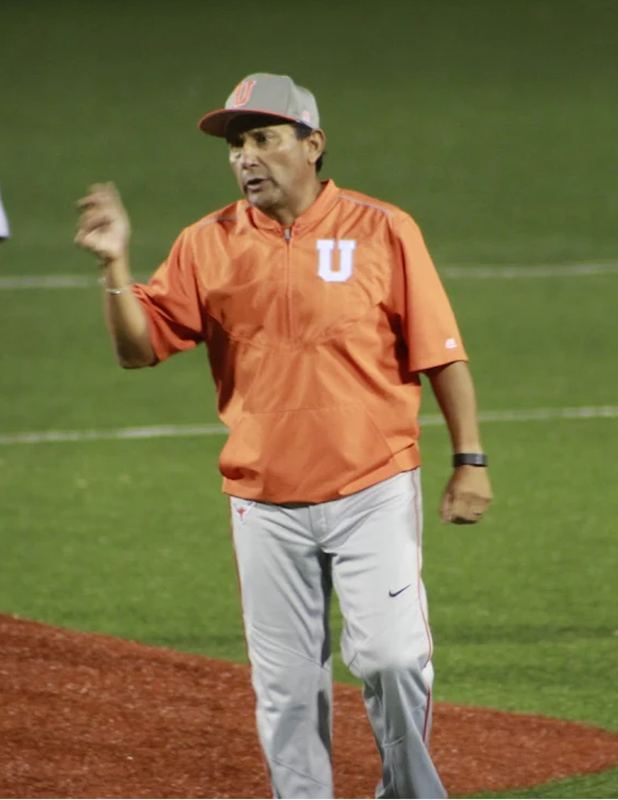 United won the district title 5 out of the 10 seasons while Gomez was the Head Coach. Coach Gomez was named coach of the year 5 times by the District and was just named this year’s Laredo Morning Times Co-Coach of the year. He finishes his last season by reaching the regional finals “Elite Eight.” After losing in the 5th round they were one step away from making it back to state. Gomez cares for his community. He was averaging 5 players a year moving on to college baseball. For the past 6 years, he has delivered Christmas presents, shared meals and made an impact on the children through baseball at the Sacred Heart Children’s Home. With the help of local officials and CBP, Gomez was able to get the parents of two of his athletes a 24-hour pass to come watch their sons graduate.